An initiative to highlight the safety of cyclists has been launched across the North East. 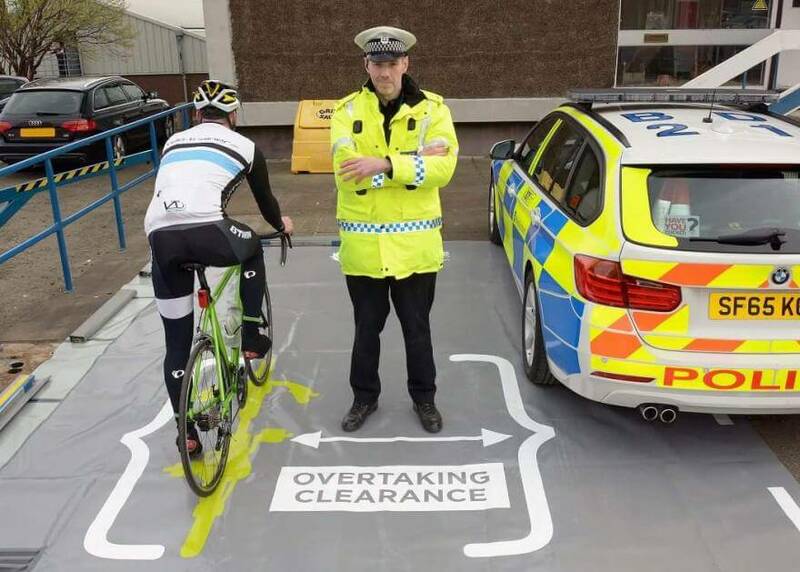 Operation Close Pass was originally introduced in Edinburgh in 2017, and sees drivers who pass an unmarked police cyclist too closely being stopped and given advice. A specially designed mat is used for this which shows how much space a pedal cyclist should be given when being overtaken by a motor vehicle. Cyclists are considered vulnerable road users so it is important that drivers recognise the importance of giving them sufficient space on the roads. Passing cyclists too closely puts all road users in danger. Those drivers that we stop during this operation will be shown how closely they passed the unmarked officer by standing on our specially designed mat. You should allow at least as much room as you would when overtaking a car when passing a person on a bicycle, giving consideration to the maximum speed limit and time and distance available to you. With the better weather and longer days, we expect to see an increase in the number of pedal cyclists using the road network across the North East. It is therefore imperative that all road users, including cyclists, are aware of their vulnerability irrespective what mode of transport they are using. In the coming weeks, we will be taking ‘Operation Close Pass’ into communities across the North East in order to spread this vital road safety message. The focus is very much on engagement and education rather than enforcement however, if necessary robust action could well be taken. I would encourage all road users to take responsibility for their own safety and the safety of others and to travel responsibly. 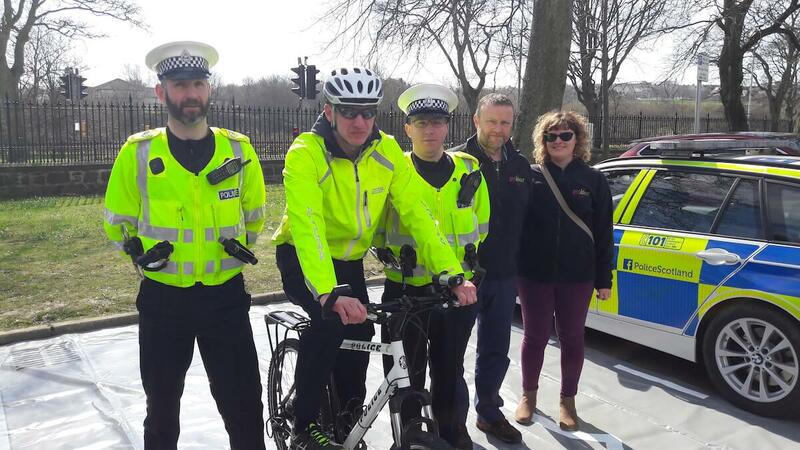 This initiative provides Police Scotland with an excellent opportunity to engage with the motoring public in order to highlight the potential vulnerability of this road user group. The road network is for everyone to share; whether you are riding a pedal cycle, travelling in a car, lorry, bus or van or a walking to your destination. Everyone has a responsibility to ensure their own safety and the safety of others and by exercising patience and courtesy we can all make the roads a safer place. NESTRANS is delighted to support today’s launch. This Operation, and the heightened awareness it brings, has proved a resounding success across the UK in reminding all road users of the importance of looking out for, and giving more time and space to, those who are particularly vulnerable. I hope it can help spread the same very important messages across the North-East’s roads. We all have a part to play, drivers and cyclists, in ensuring each other’s safety. Please respect and follow the rules of the road.